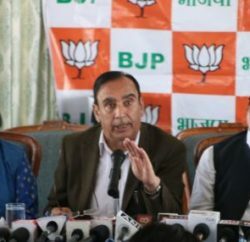 Shimla: Giving rest to the speculations over the new Himachal Pradesh Chief Minister, the BJP has cleared the name of five-time legislator Jairam Thakur for the post. 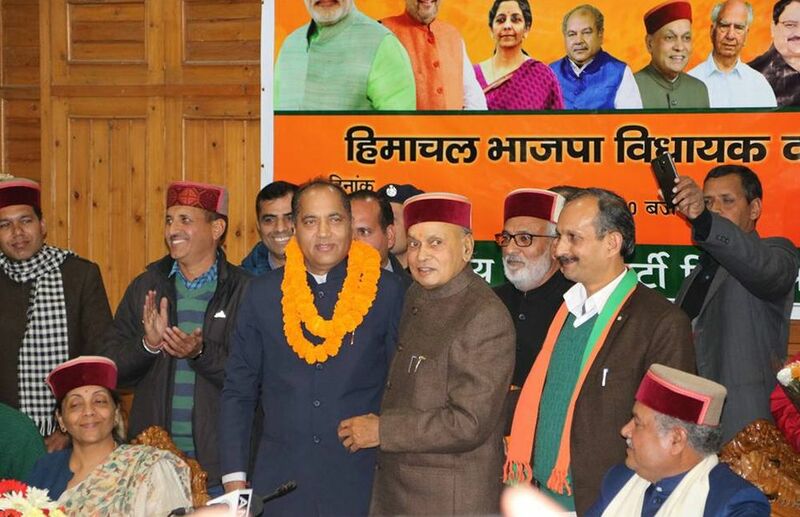 Former chief minister Prem Kumar Dhumal proposed the name of Jai Ram Thakur at the BJP legislature party meeting in Shimla, and was seconded by Union Minister J P Nadda and veteran leader Shanta Kumar. The two-member team of central observers Nirmala Sitharaman and Narendra Tomar along with Union Minister JP Nadda were present at the meeting. After the announcement, Jai Ram thanked all senior leaders, Prime Minster Narandra Modi and the central leadership. He said he would try to live up to the expectations of the people of Himachal and will fulfil the aspirations of the people of the state. Jairam Thakur, five times legislature from Seraj Assembly constituency, was front runner for the post since Prem Kumar Dhumal lost the assembly election to Congress candidate Rajinder Rana from Sujanpur segment. Even after Dhumal losing election, his supporters were adamant and pressurizing party to appoint him to lead the government. Even supporters of Prem Kumar Dhumal created unruly scene by shouted slogans at the Peterhoff Shimla and also disrupted party’s crucial meeting of the newly-elected party MLAs to pick the next chief minister of Himachal Pradesh. Agitated party workers also surrounded the vehicles of Sitharaman and Tomar when they had returned to their hotel room after paying a visit to the RSS office. 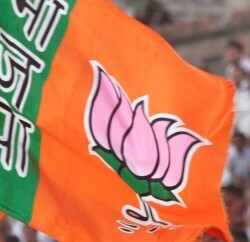 However, with due deliberation the BJP announced Jai Ram Thakur for the top post. Jai Ram Thakur first time entered the Vidhan Sabha in 1998 from Seraj assembly segment and since then never lost the assembly election. 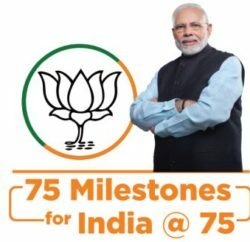 He also served as the BJP’s state chief between 2006 and 2009. He was also included in the Dhumal cabinet in earlier tenure. After getting party nod for the top post, state BJP President Satpal Singh Satti and newly elected leader of BJP Legislative Party Jai Ram Thakur, along with other senior BJP leaders called on the Governor Acharya Devvrat at Raj Bhavan. They presented the letter to the Governor regarding formation of new Government in the State. Governor Acharya Devvrat today invited Chief Minister designate Shri Jai Ram Thakur to form the Government in Himachal Pradesh.